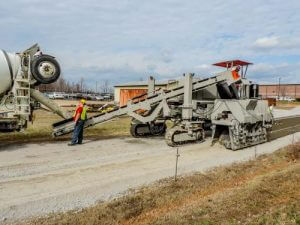 Power Curbers is proud to offer the world’s most versatile multipurpose slipform machines for concrete paving projects. Our latest multipurpose paving machine, the Power Curber 7700 is designed for offset applications including barriers, road paving, bridge parapets, ditches, and so much more. Our dealers and distributors are located all over the world and ready to show you why our Multipurpose Machines are the best solution for your paving needs. To learn more about our concrete machines, view our products listed below or contact us for more information.